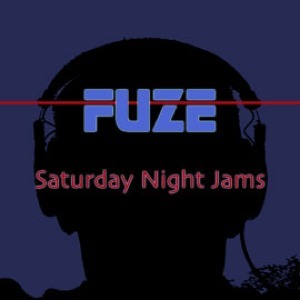 Welcome to the Saturday Night Jam, a weekly live audio webcast by Fuze, a modern electric jazz band from the Detroit area. Each Saturday night the band offers listeners a peek into the studio where live improvised jams will often be heard. At times, you may catch the band working on a new song or actually tracking parts but most often you will hear something unique and different because the band is constantly improvising and searching new territories. Please subscribe to the Fuze Newz mailing list where you can keep up to date with all of the Fuze happenings like shows, CD releases and other information about the band. We are running our mailing list with the help of ReverbNation where you can check out all kinds of great music. Sign up for our street team if you want to help us spread the word about new releases and shows. You can subscribe to the Saturday Night Jam if you have ITunes and want to subscribe to the podcast.